As part of 21st Century Fox’s commitment to minimizing its environmental impacts, the company recently focused its efforts on the production of FX’s Legion, the eight-episode drama from Fargo showrunner Noah Hawley set in the world of the X-Men. Over the course of the nearly six-month shoot, the crew implemented a series of ambitious measures to make the production as environmentally sustainable as possible, not only following existing best practice but also experimenting with new green technologies such as portable electric generators that could advance sustainability efforts across the entire film and television industry. These initiatives, coupled with the Vancouver area’s support for green vendors and infrastructure, resulted in energy and cost savings across the board. Legion is the latest in a long tradition of green production at 21CF. The company has worked with production crews across its film and television projects to implement environmental best practices, and previous series such as 24: Live Another Day and The X-Files event series each broke new ground for the industry on waste and recycling. For Legion, Fox once again hired Zena Harris of Green Spark Group, who led similar efforts on The X-Files, to serve as sustainable production coordinator. Harris collaborated with each department, from props to wardrobe to transportation, to set goals around reducing waste, recycling and reusing set materials, and carefully monitoring energy consumption. By both building on the success of previous series and identifying new opportunities for innovation, the crew managed to divert 55% of the waste from landfill, avoid 252 metric tons of CO2 emissions, and collectively save nearly $48,000 USD. See below for an in-depth look at Legion’s sustainability program, from the earliest stages of preproduction to the days after shooting wrapped. Before filming began, Harris met with each department head individually to identify the unique sustainability challenges their teams faced and develop strategies to mitigate those challenges. Together, they set goals and reviewed best practices, such as turning off set vehicles rather than let them idle, buying wardrobe from secondhand stores, and distributing refillable water bottles to replace single-use plastic bottles. 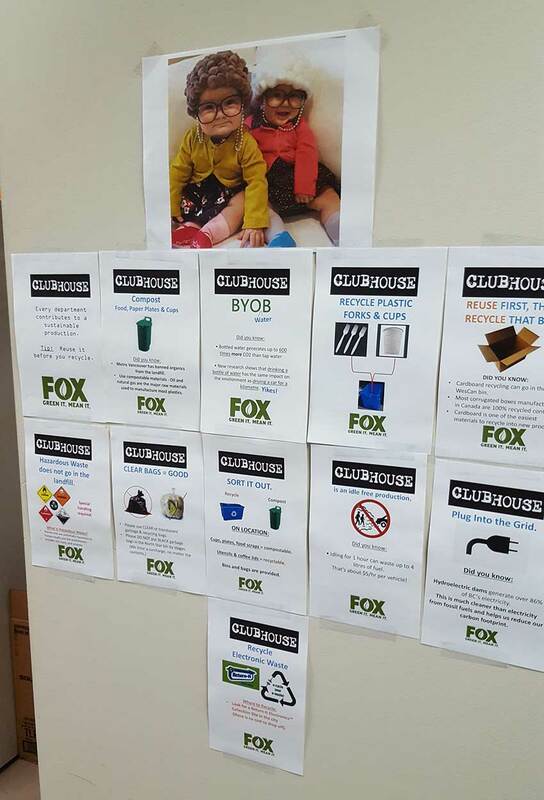 These policies drew largely from the Producers Guild of America’s Green Production Guide, which Fox developed in collaboration with its peer Hollywood studios. Producer Brian Leslie Parker shared these goals with the crew in an all-hands memo on one of the first days of production. Harris continued to engage the crew as shooting progressed by including green tips on daily call sheets, sharing stats in weekly emails, and posting green tip flyers in the production office. 70% of the lauan plywood purchased for set construction received certification from the Forest Stewardship Council (FSC), a nonprofit that upholds indigenous peoples’ rights of ownership to natural resources and ensures loggers comply with all laws and environmental regulations. The certification guarantees that the plywood was sourced from responsibly managed forests throughout Southeast Asia, rather than forests typically marked by illegal logging and overharvesting. The vendor Westbay Foam provided Pulp Art Surfaces, eco-friendly wall skins that are made from 100% recycled paper, cardboard, and wood chips rather than traditional plastic-based materials. 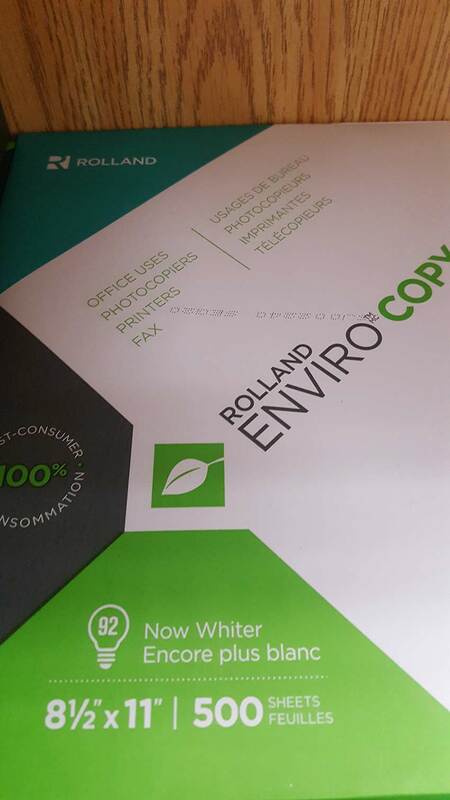 100% of the paper used during production was certified either by FSC or the Sustainable Forestry Initiative (SFI). 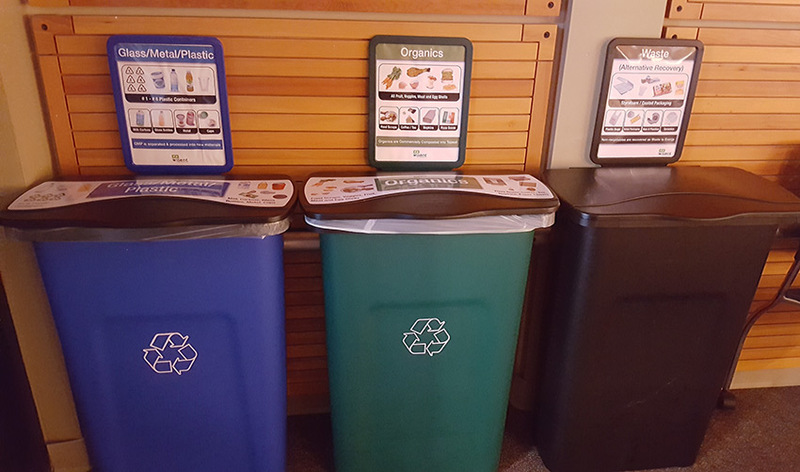 The team at Legion paid close attention to responsible waste management, working across departments to reuse and recycle materials wherever possible. Once initial strategies were in place, the team continued to monitor waste management tactics as the production went on, including replacing a waste hauling vendor for improperly sending recyclables to landfill. By replacing the use of plastic water bottles with five-gallon jugs of water and reusable bottles, the production was able to avoid the use of 52,400 plastic bottles and saved more than $45,000. Keep It Green Recycling collected paper, batteries, CD/DVD plastic, glass, foam, bottles, ink cartridges, paint cans, light bulbs and foam from the soundstages, wardrobe, set dec and construction buildings. The construction department reused building flats and materials originally used to film the series pilot, rather than construct new ones. Catering used compostable cups and reusable plates and cutlery, and used Foodee in the Production Office to reduce food waste. Scripts were distributed digitally to reduce the amount of paper printed. The Wardrobe and Set Dec departments bought materials from secondhand stores wherever possible. The Makeup department recycled product packaging wherever possible. All shooting locations, as well as food areas and the production office, contained recycling and compost bins. Near the end of filming, the crew hosted a “Zero Waste to Landfill Lunch,” which succeeded in producing no waste at all from the meal. Waste management vendors included Keep It Green Recycling, Harvest Urban Wood Recyclers, Mini Bins, and more. When plugging into the power grid was not possible, the production used generators with a 5% biodiesel fuel blend (B5). Transportation prioritized the use of fuel-efficient vehicles and also used biofuels where possible, including biodiesel B5 and a 10% ethanol blend (E10) in gasoline. The production office requested the use of hybrid vehicles for car service pick-ups from the airport whenever possible. The no idling policy for transportation was implemented on the first day of production and led to an estimated $2,400 in cost savings. The crew installed LED lights on sets and as overhead lighting in the studio wherever possible. Legion broke new ground by partnering with the vendor Portable Electric to become the first TV series ever to test the company’s new mobile power stations designed uniquely for the entertainment industry. The units are battery-powered, eliminating the pollution, noise and carbon emissions that accompany traditional diesel generators. 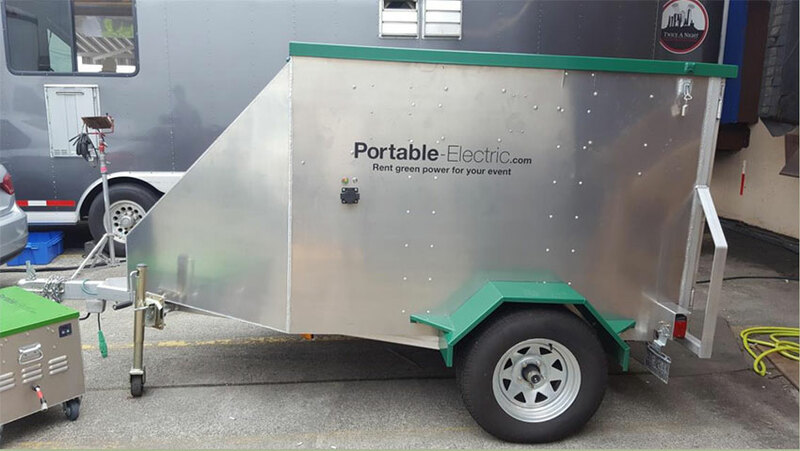 The Portable Electric units can integrate with existing generators and production equipment, powering lights, monitors, video equipment, catering and more. Legion piloted two of these units for several days on set and provided feedback for Portable Electric to continue to refine the product. Beyond identifying ways the production could minimize its environmental footprint, the crew also seized multiple opportunities to give back to the Vancouver communities where filming took place. They collected redeemable bottles and cans separately from other recycling and then donated the money to the Canadian Mental Health Association. In addition, the crew participated in the annual Reel Thanksgiving Challenge, promoted across the entire Vancouver film and television industry, in which productions compete to see how much money they can raise for the Greater Vancouver Food Bank. Legion raised nearly $2,000 in monetary and food donations. To take a look at some of the Green Production behind the scenes footage here. In order to reset your password, enter your email below. We will send you a link to a page where you can set your new password.